Our highly qualified and experienced team is on hand to provide professional, personal and quality services that focus on the specific needs and requirements of each individual client. 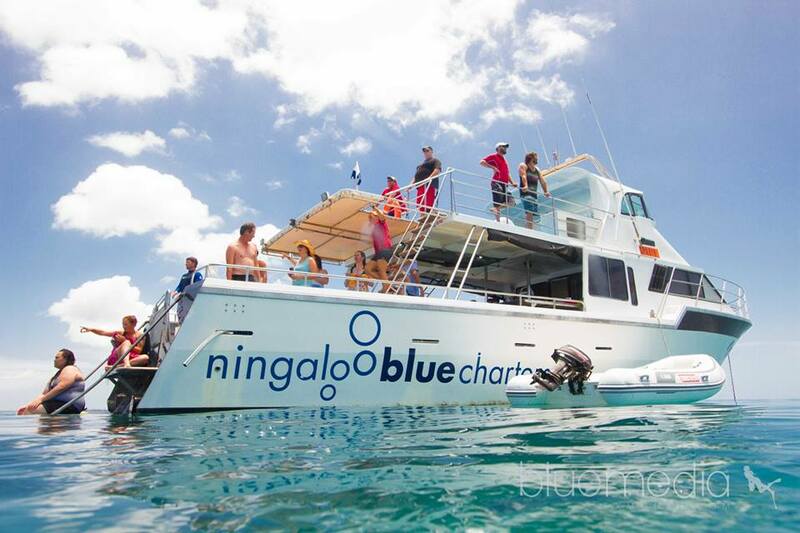 Our level of tailored services and privacy is unparalleled in Exmouth, Western Australia – contact the Ningaloo Blue Dive team today to see how we can deliver you the most prestigious and unforgettable getaway experience on water. 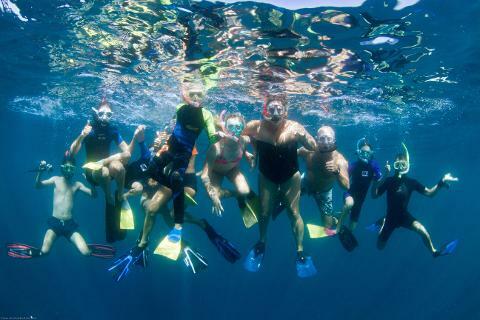 A day out snorkelling and swimming with whale sharks - the largest fish in the world and an array of marine life! Or sit back and enjoy the views with a glass of champagne on the Ningaloo reef off the coast of Exmouth. The entire 65 foot state of the art vessel to yourself for the whole day. Which is 2 storey with a huge under cover lower deck with comfortable seating and easy access to marlin board at water level. Then we have a huge upper deck for observation and sun bathing. Courtesy coach pick up and drop off from your chosen location in Exmouth. All catering for morning tea, lunch, afternoon tea and drinks included. You will receive a gourmet culinary experience to tantalise your taste buds and delight your senses. All snorkelling gear, wet suits & flotation devices provided. A professional photographer & videographer to capture this once in a lifetime experience. A spotter plane for the entire day to maximise wildlife encounters. We will personalised your experience and will work with you to ensure this exceeds all expectations.